Look Alike. Ron Weasley. Wallpaper and background images in the harry potter contra crepúsculo club tagged: actors. O.O they do look alike!!! I thought it was like the same person or something! 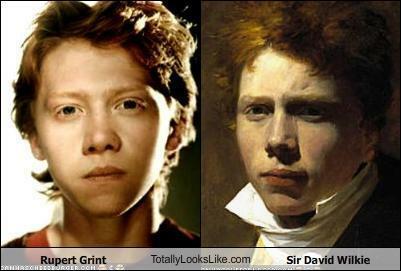 well, if they ever decide to make a movie of that guy, I guess we know who'd be the perfect guy to play the lead role..